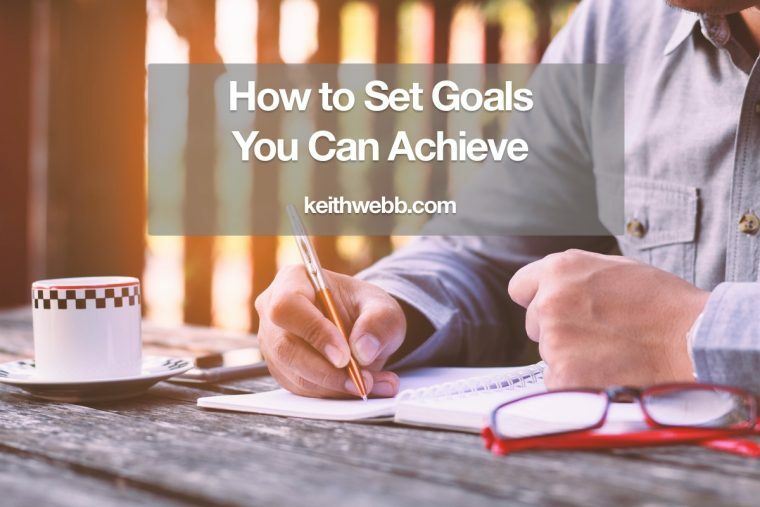 Good action steps are critical to getting things done. You need to make action steps for yourself and you may need to coach other people to form theirs. Not all action steps are created equal. 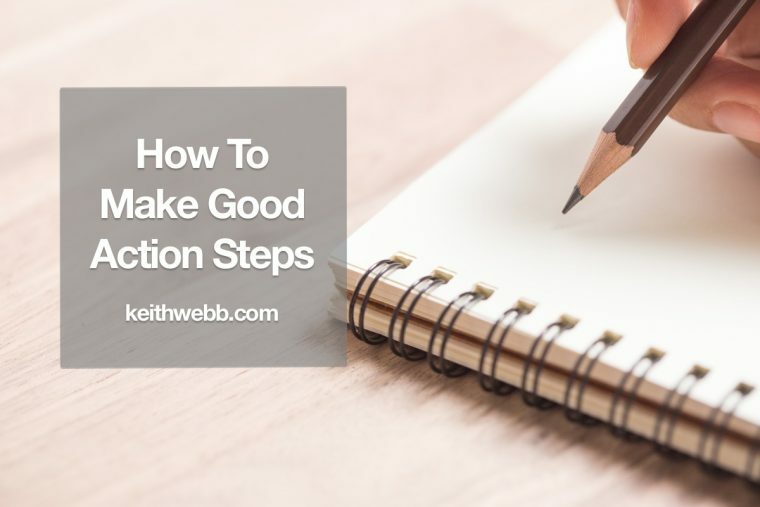 Here’s how to make good action steps. Being busy has become a badge of honor. It’s viewed as a sign of working hard. But too often busy-ness is the result of focusing on the wrong outcomes. 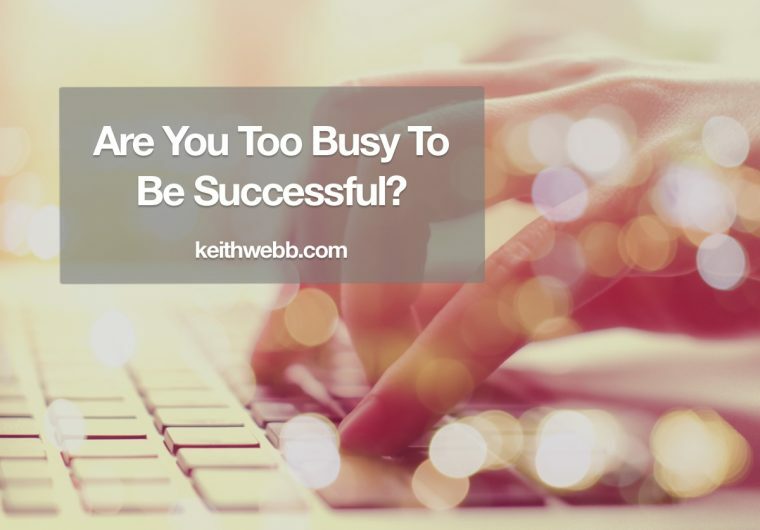 Are you too busy to be successful? 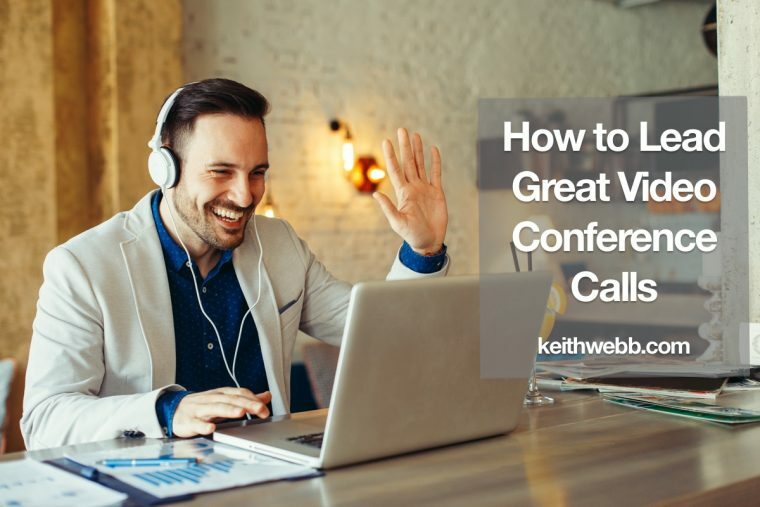 When you check your email, read your messages, answer the phone, or have a quick conversation, your attention stays with that task even after you’ve moved onto the next. For a period of time, you’re unable to give the next task your full attention. This phenomena has been called “attention residue” and it’s hurting your thinking. 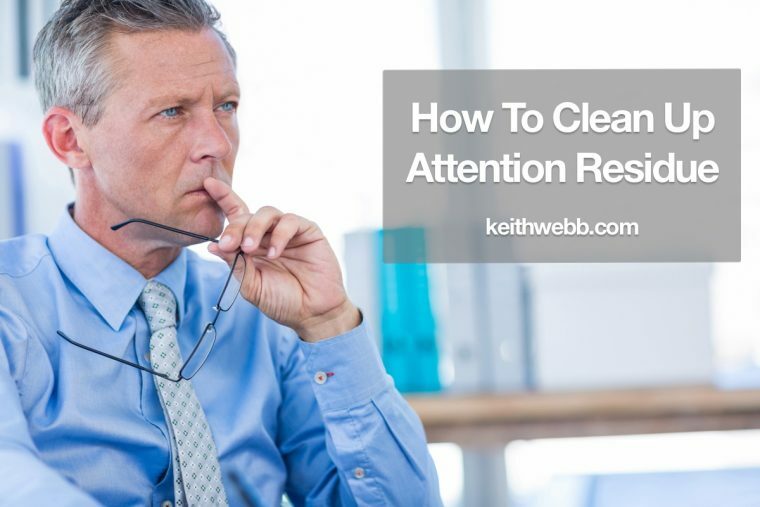 Here’s how to clean up attention residue to get your focus back. Your ability to think deeply, plan strategically, and create and innovate are your most valuable leadership assets. Yet, in our on-demand world, you are bombarded with constant interruptions that distract you from this meaningful work. 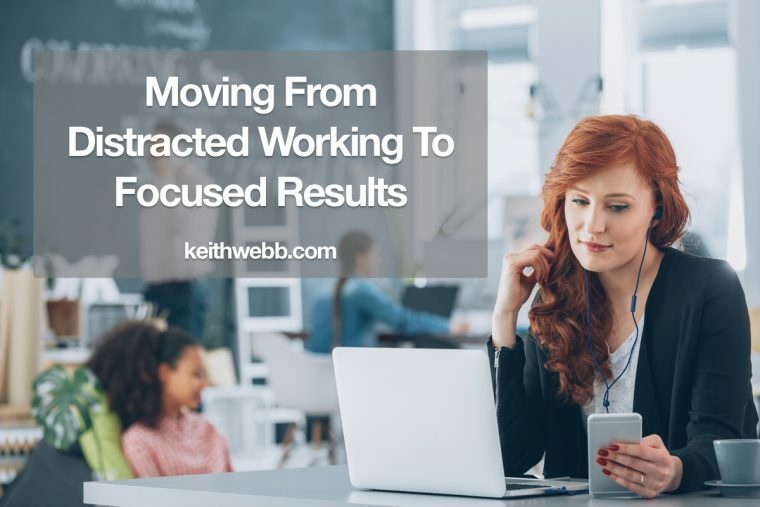 Here’s how to move from distracted working to focused results. I’m back to paper! 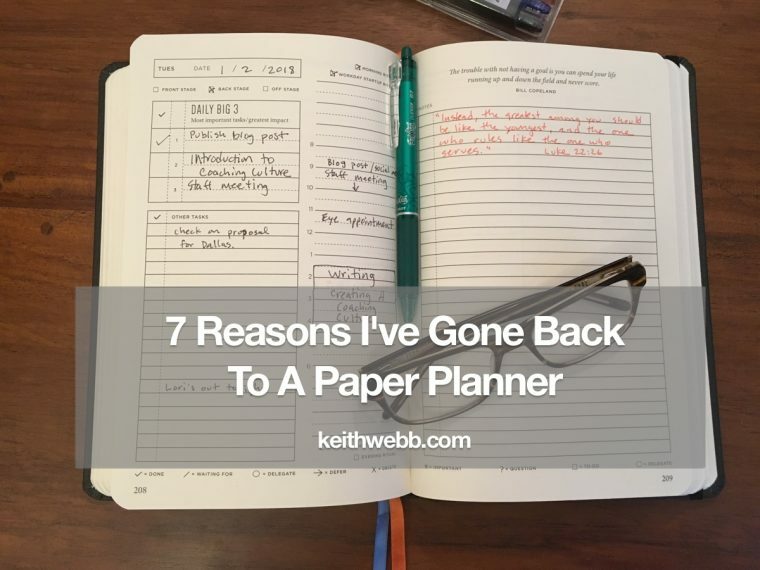 I have been all digital in my calendar, to-do list, and journal for a few years now. Now I’m back to paper – at least partially. Here’s why. I used to be all digital. I use Google calendars to see my personal, company, and my wife’s calendars across all my devices. 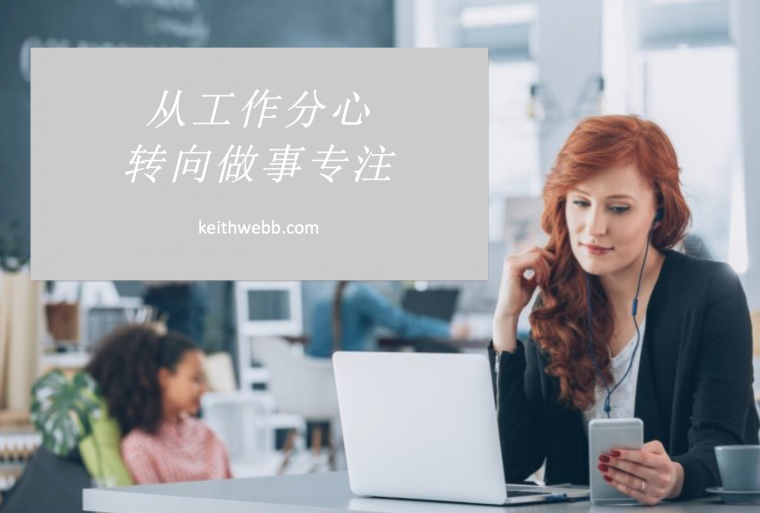 My coaching clients can click a link to make appointments with me at times I’ve indicated are available, without exchanging emails to set it up. I track my to-dos with Nozbe and use Evernote to capture ideas, quotes, article snippets, etc. All digital. Everything syncs and I love it.